Jewell Distillery is locally owned and operated by Michael & Barbara Jewell, who are committed to the fine art of distilling. They began developing their unique products with a still from the Calabrese family, last used during prohibition. To this day, they continue to produce our spirits in small handcrafted batches. They honor the colorful and sometimes shady history of those who've always insisted on the freedom to create the very best. With every sip, you become part of this great legacy. 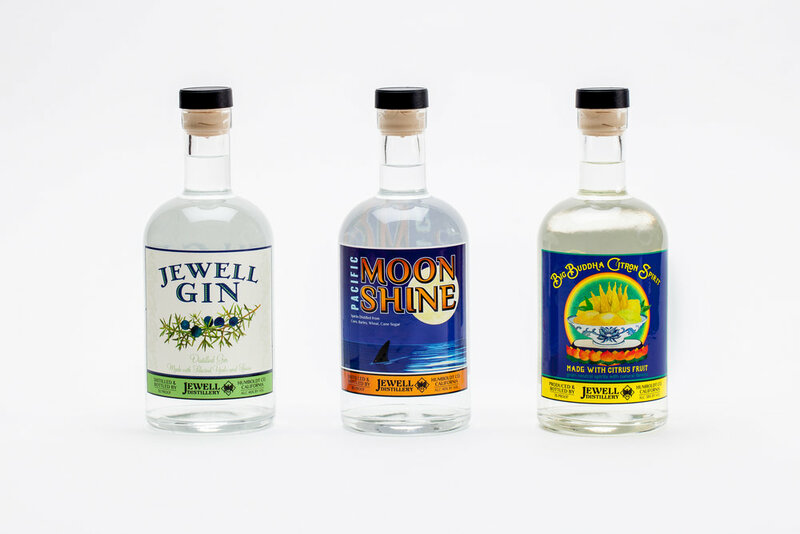 Located in sunny Blue Lake, Jewell Distillery opened in June of 2016 and now offer award winning spirits: Pacific Moonshine, Jewell Gin, Big Buddha Citron Spirit and Eau de Vie Brandies.